China Miéville’s amazing murder mystery, sci-fi, weird, thriller is a study in awesomeness! Miéville was an author I discovered late 2010 and so made it my mission in 2011 to read what I could get my hands on by him. 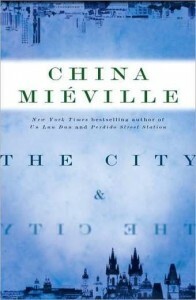 Well, of those novels, which were all fantastic, The City & The City is the one that hit me the hardest. The social implications of the world he created is one that, once you get it, will (hopefully) smack you right in the face! If you enjoy a good weird, sci-fi/murder-mystery thriller then read this one…you will not be disappointed! I LOVE comic books. I have, well, it seems like forever. But it’s never been much more than a hobby at best. Well, when several comic books (and graphic novels) got made into movies, I started to get the itch back to reading them…and man, have they changed in the last 20-25 years. 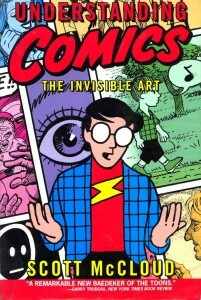 Scott McCloud’s Understanding Comics was a fantastic re-introduction into the art form and really solidified it as a true art form. He makes a case for comics as an art form by writing his treatise …. as a COMIC! It’s brilliant! And not only is it brilliant in concept, but in execution he has truly done it. It can seem intimidating to start with, but soon I could not put it down. If you like comics or graphic novels at all, then go out there and find this book! It’s hard to find, so you can order it online or get it out from your local library…you will not be disappointed. 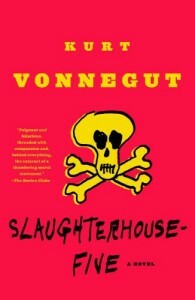 I had always wanted to read a Kurt Vonnegut novel, but never got around to it…until this past year. I decided to start with the one that he is probably best known for and I was not disappointed. I didn’t get all of it my first time through, and not even on my second. I hope to read it again soon, because it is a clever, disturbing, witty and thought provoking read. So, I got back into comic books/graphic novels this past year and a bit. It was tough to pick one to put on this list and this one secured the spot even though, technically, it isn’t as good as some of the others I read. I found the paneling too cluttered and the art work, which was all-around great, was not always consistent. That having been said, this secured the spot for me because of the material and the way the authors and illustrators present the material and educate their audience. 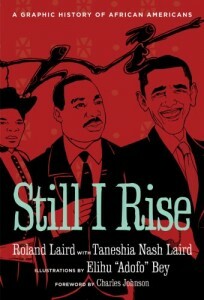 It’s a book about the history of African Americans in the USA. Now, obviously it is insanely difficult to communicate so much history in a readable way that doesn’t put the reader off by the size of the tome. Well, Roland Owen Laird, Jr. & Taneshia Nash Laird do a bang-up job of making the history concise, thoughtful, informative and engaging (even though at times there is too much information per panel). I highly recommend this. I would love to find more like this, you know, histories of people groups by those people groups. 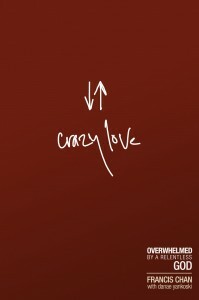 I was introduced to Francis Chan through his book Erasing Hell. I enjoyed it. Then someone at my work recommended this one by him. Well, this is the book to recommend! From my point of view, he has done a great job of calling those of us who profess a faith in Jesus Christ to really live it.